Vietnam developed industrial zones to further boost foreign investment into the country. 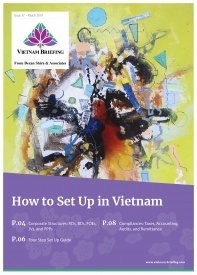 Vietnam Briefing explains the industrial park system, how a businessperson can evaluate industrial zones, and some of the advantages of setting up in an industrial zone. Industrial Zones are locations that are earmarked by the government for the production of industrial goods and services. Typically, industrial zones complement certain activities – such as production, export, or hi-tech – and have incentives for business that set up there. Accordingly, industrial zones are a popular investment destination for foreign businesses. The number of industrial zones in Vietnam continues to rise as foreign investment pours in. As of December 2018, there were 326 industrial zones set up countrywide, with 249 already in operation. The occupancy rate reached 73 percent, according to the Ministry of Planning and Investment. Looking to Invest in Vietnam? Ask Us! By the end of 2018, industrial and economic zones attracted 7,500 domestic projects worth US$41.75 billion and around 8,000 foreign projects with a total capital over US$145 billion. Meanwhile, the Department of Economic Zones Management is in the process of drafting a legal framework to attract more foreign and domestic investments. While industrial zones work well for many businesses in the country, investors should take the time to learn more before creating a shortlist of locations to visit. 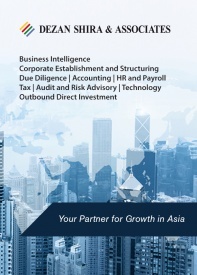 Here, we highlight the most important considerations for your business to consider. Vietnam’s industrial zones are spread out across the country, and are concentrated within three administrative regions – the Northern, Central and Southern regions. Each region has its own characteristics, as well as unique incentive programs. The Northern region comprises of 25 provinces, with the North Key Economic Zone (NKEZ) making up seven several cities and provinces, including Hanoi, Hai Phong, Bac Ninh, Hai Duong, Hung Yen, Vinh Phuc, and Quang Ninh. The area has seen significant development in the past five to 10 years. This proximity of this area to China is particularly suitable for companies that want to move manufacturing operations to Vietnam but continue operating in China. This is also part of the China plus one strategy. The Central Key Economic Zone (CKEZ) compromises of five provinces – Thua Thien Hue, Da Nang, Quang Nam, Quang Ngai, and Binh Danh, with the major of activity occurring around Da Nang. The Central region is not as established as its neighbors are in the north and south; however, opportunities in this region are likely to materialize in the next few years. 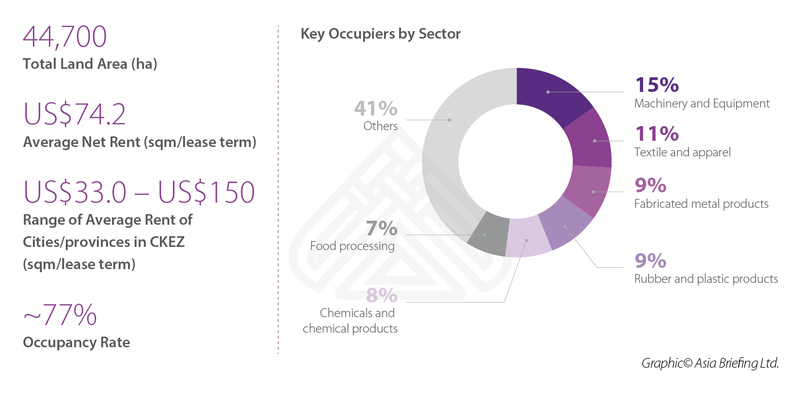 Key industries include light industry projects such as food processing. The Southern Key Economic Zone (SKEZ) is made up mainly eight cities and provinces, including Ho Chi Minh City, Binh Duong, Dong Nai, Long An, Ba Ria-Vung Tau, Binh Phuoc, Tay Ninh and Tien Giang. This region, particularly around Ho Chi Minh City, has the most active economic zone across the country. It is known as an industrial hub, which attracts the highest FDI given the favorable investment climate. Foreign Investment Enterprises (FIEs) should first consider geographic location. This involves research into the advantages and disadvantages of locations of industrial parks considered. According to the 2018 Provincial Competitiveness Index, the top ranked provinces in 2018 were Quang Ninh (North), Dong Thap (South), Long An (South), Ben Tre (South), and Da Nang (Central); representative of all different regions of Vietnam. Options can be narrowed down by geographical concentration of industries as some regions host more enterprises from a specific industry than others do (see infographic above). 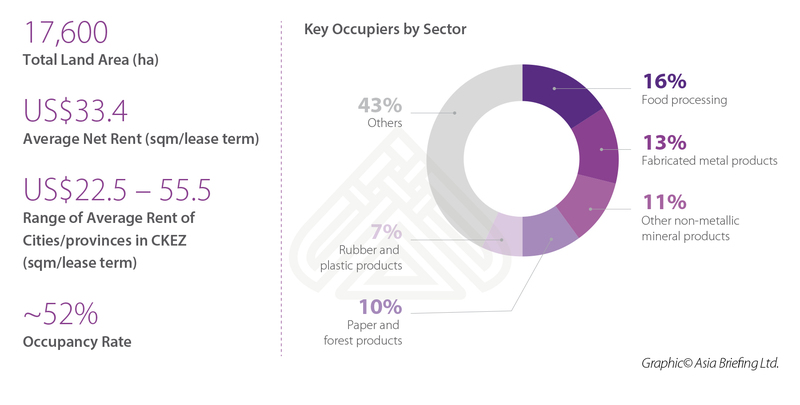 Representing some of Vietnam’s main export sectors, garment and textile manufacturing are concentrated in both north and south Vietnam, while footwear and furniture manufacturing are both concentrated in south Vietnam. Industrial zones possess land use rights from the government and essentially sublease their land and existing factories to tenants for a period of up to fifty years, depending on when the industrial zone was established. Prices vary considerably and depend on a number of factors that influence demand, including the location and quality of the industrial park. Vietnam’s key attraction to foreign investors is the low cost of labor. Talent is available and competitive in the North. Cities such as Hanoi and Hai Phong in particularly have an ample supply of qualified workers. Finding the right workers in Central region can prove more challenging than in other regions. Workers in technical fields often find better opportunities in the north and south. Foreign investors are likely to find it challenging to hiring and retaining staff in specialized fields or high-level positions. In the Southern region, talent is available and supported by various education institutions around Ho Chi Minh City; however, competition is high between employers for talent in this area. Vietnam’s minimum wage is a tiered system ranging from US$125 to US$180 per month, based on the region. Areas such as Hanoi and HCMC command a higher minimum wage, while Vinh Phuc, Phu Tho, and Bac Giang have lower minimum wage levels. Average salary can vary from US$500 to US$2,000 for industrial workers and managers, depending on the industry and skill level. Overtime, overtime wages, and social insurance should also be taken into consideration. Infrastructure is often a deciding factor with regard to the success of an industrial zone. Industrial zones that have failed to attract enterprises in the past often lacked good infrastructure and management – the country’s infrastructure has been a bit slow to develop amidst rapid industrialization. As Vietnam continues to attract FDI, industrial zones have been improving their infrastructure to meet international standards. Improvements include higher quality industrial parks in general, while investors should pay specific attention to assessing the quality of factory buildings and warehouses, sources of electricity and water, wastewater treatment plants, garbage disposals, fire prevention systems, improved telecommunications, access to banks and post offices, logistic services, and internal roads. Many industrial zones are located near national highways that lead to airports, seaports, and rail stations for easy transport among other conveniences. According to the 2018 Provincial Competitiveness Index, Binh Duong, Da Nang, Vinh Phuc, Hai Duong, and Ba Ria-Vung Tau were the five provinces that were rated as having the best infrastructure. The government has designated and provided incentives to certain industries in the North, Central and Southern regions. We look at the three regions and the industry specific sectors unique to them. The NKEZ consists of eight municipalities and provinces focusing mainly on agricultural products and includes Hanoi, Hai Phong City and the provinces of Bac Ninh, Ha Tay, Hai Duong and Hung Yen. The CKEZ has been known for its marine economy. Over the next few years, authorities in the CKEZ area aim to increase development in sectors such as oil and gas, ship building, logistics, and other high-tech industries. It includes Da Nang City and the provinces of Binh Dinh, Thua Thien Hue, Quang Nam and Quang Ngai. The SKEZ is dedicated to the development of commerce, exports, technology, services, and telecommunications. Its areas include Ho Chi Minh City and the provinces of Binh Duong, Ba Ria-Vung Tau, Dong Nai, Tay Ninh and Binh Phoc. 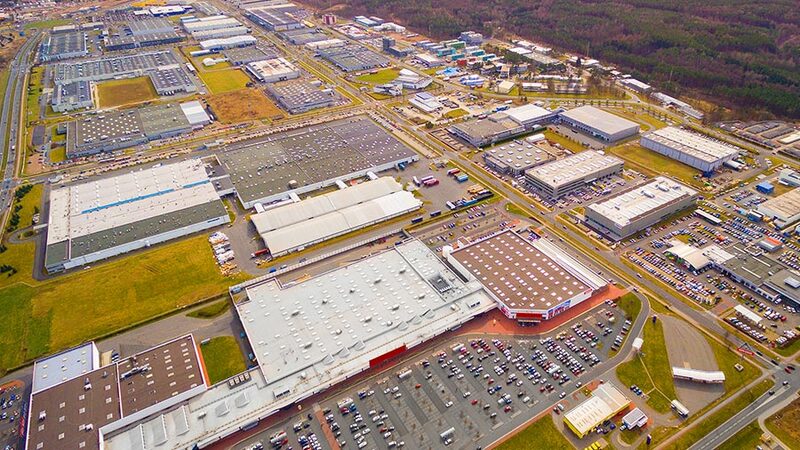 FIEs looking to establish operations in an industrial zone should consider the types of industries already represented by existing tenants and the supporting industries to understand the potential benefits to their own operations. For instance, it would be difficult for a low-end manufacturing company to minimize labor costs in an area with many hi-tech firms. Vietnam has a series of incentives in place that encourage both domestic and foreign investment depending on various factors, including the regional profile. Tax incentives include exemptions or reductions of Corporate Income Tax (CIT), Value-Added Tax (VAT) and import tariffs for specific periods, and are granted based on the business lines and location of the FIE. Regulated encouraged sectors include education, healthcare, sports, culture, high technology, environmental protection, scientific research, infrastructural development, and software manufacturing. Administrative divisions or locations with investment incentives include disadvantaged or extremely disadvantaged areas, industrial parks, export-processing zones, hi-tech zones, and economic zones. Preferential CIT has been set at 10 percent for a 15-year period for new investment projects in areas with difficult socio-economic conditions, in economic zones, and in high-tech zones. The preferential CIT is applicable for the entire operational period for companies operating in the sectors of education and training, occupational training, healthcare, culture, sport, and the environment. Other reduced CIT slabs include 15 percent and 17 percent for enterprises involved in farming, breeding, processing of agriculture and aquaculture products. Large manufacturing projects with investment capital of US$258,000 (6,000 billion VND) or more with minimum revenue of US$430,620,000 (10,000 billion VND) per annum for at least three years after the first year of operations or employing at least 3,000 people after three years of operation, also qualify for CIT incentives. Additionally, exemptions from import duty and incentives on land rental are also offered to investors. Such incentives and exemptions depend on the industry and the location of investment. FIEs choosing to set up in an industrial zone should carefully consider all the aforementioned factors to leverage suitable benefits for their operations. Location, talent, government incentives and infrastructure factors are key to having a successful operation in such industrial zones. When weighing these factors, investors that are new to the country should consider using a professional service to learn more about whether an industrial zone makes sense for a given investment. Many factors are difficult to assess from abroad, while conditions on paper don’t always translate on-the-ground. Note: This article was first published in November 2015 and has been updated to include the most recent developments.